Today: Who ever said you can't have a sandwich for dessert? Alice begs to differ. Here’s a rabbit-from-your-hat trick -- with ingredients straight from your pantry -- guaranteed to satisfy the munchies, or any chocolate craving you might have! 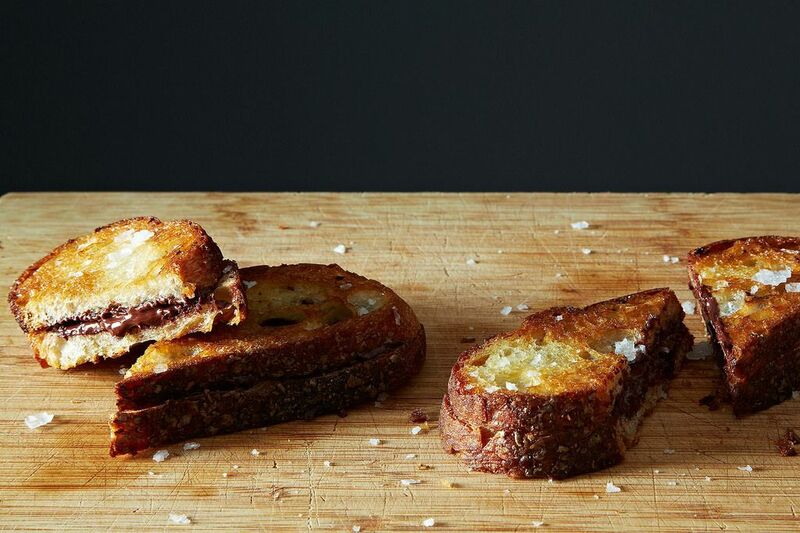 Think hot, crunchy-crusted grilled sandwiches stuffed with melty chocolate instead of cheese. Garnish with pinch of flaky sea salt or a cozy shower of cinnamon sugar. Sure, I like mine with a fruity dark 70% chocolate, but don’t let that stop you from using your favorite new artisan milk chocolate, or any other. 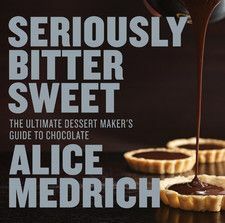 No matter how you do it, this spur of the moment indulgence can be dressed up for sit-down company too: cut smaller pieces and nestle them in a bowl of ice cream. Our occassional somewhat healthy weekday breakfast--sprouted wheat bread, sliced banana, peanut butter and chopped dark chocolate--grilled on our panini machine... with butter. Protein and fiber keeps us filled up but with a little indulgence too. I love melting chocolate and brie on bread. Perfect indulgence! My grandmother always made me chocolate toast. 1T cocoa, 3T sugar. Mix and spread on 4 slices of bread. Add 5 thin pats of butter to each, bake for 10 minutes at 400 F. So delicious. I've done something similar. I've added peanut butter. Instead of the stove, I just toasted two slices of bread. On one side I put some chocolate on there and since to toaster oven is still hot, I slide that piece of bread back in there to help melt the chocolate. While that is going, I spread peanut butter on the other slice of bread. I take the other piece of bread out of the toaster, smooth out the chocolate and put the two slices of bread together. Mmmm...peanut butter and chocolate...fantastic combination. 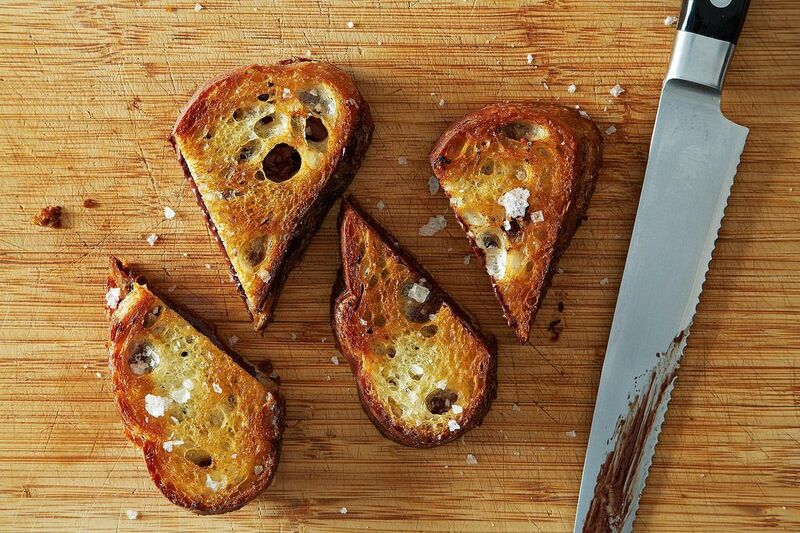 How about cream cheese or goat cheese grilled with the chocolate? And then there's my childhood favorite....grilled peanut butter and bacon, with either banana or honey (or both)???? Yum yum! I have done this a few time with Gruyere and Nutella and served it up with some home cooked oatmeal. It's a great weekend brunch meal..... I've used bananas and toasted pecans for the oatmeal and it was amazing. Wow, those look like a perfect afternoon snack, wish I had one right now! Also delicious: grilled peanut butter and honey sandwiches. You'll never look at PB&J the same way.